Non-destructive testing (NDT) is widely used in many applications in the aerospace, petroleum, civil engineering, manufacturing and service industry to ensure safety and production quality. 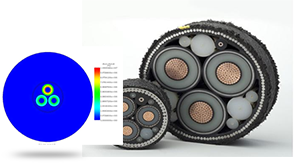 Eddy current testing (ECT) is an NDT technique that helps to efficiently examine large surfaces of electrically conductive material using the principles of electromagnetics. 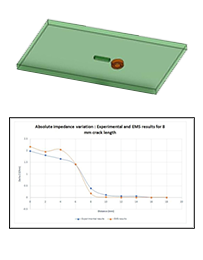 The presented example demonstrates the capabilities of EMS for characterization of an eddy-current detector used for surface inspection. EMS results are confirmed by comparison with experimental data. Rectangular waveguides of WR2300 half height type are widely used for coupling power to accelerate cavity through an iris between the end ridge and the cavity. 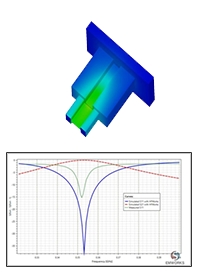 This study illustrates the design and simulation features using the duo SOLIDWORKS and HFWorks to enable users to envision and design RF couplers. 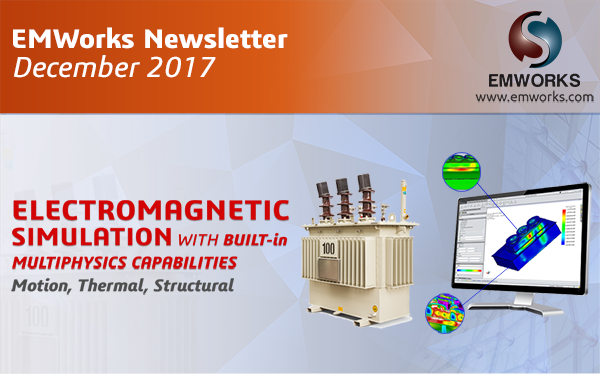 A coupled RF and thermal analysis of the waveguide is conducted in the S-Parameters module of HFWorks and the results are presented. Researchers from the University of Limerick's Bernal Institute have discovered a property that converts mechanical energy to electricity in lyzosome crystals — which are commonly found in tears. This paves the way for biocompatible electronics in the future.